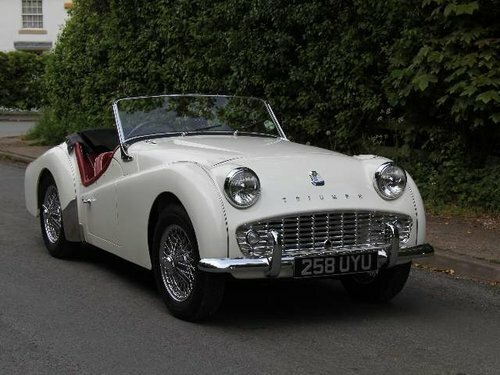 We are delighted to offer this show standard Triumph TR3A onto the market. 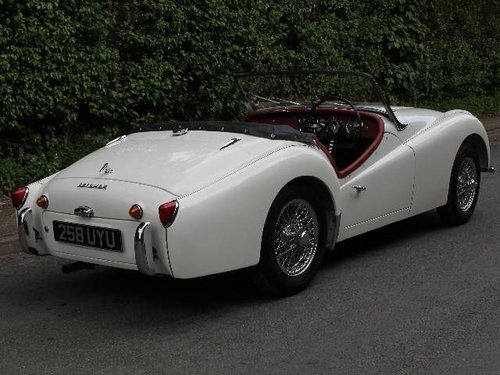 We have known this car for one year having first seen the car at Malton Show in 2017 where it won â€˜Best in Showâ€™ The car had been subject of a sixteen year rebuild completed in 2016 and since then the TR3A has covered just 800 miles. A wonderful level of detail has gone into the restoration resulting in a first class car. The car has been completed with no expense spared and has been finished to a level that is difficult to achieve. Hours upon hours have been spent in the garage detailing and finishing the car ensuring its totally first class throughout. 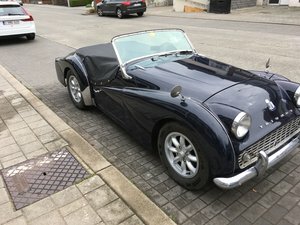 This Triumph TR3A is a matching numbers car, confirmed from its Heritage certificate. 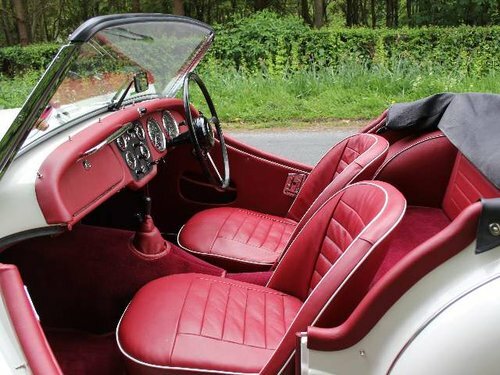 The car has also been painted in its original colour of Sebring White and is completely correct as it left the factory with Red leather trim. 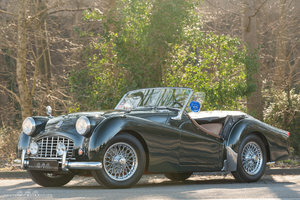 The car spent its first forty years in California, supplied new by California Sales Inc, San Francisco and its last owner in the US owned the car for twenty years in San Jose. The TR arrived in the UK requiring full restoration and photos in the history file show the condition. The car was then fully stripped and treated to a top class nut and bolt restoration. Two years and 350 miles after the restoration the car is quite simply outstanding. The bodywork is exceptional, the paint finish first class, the chrome work perfect and the interior has been beautifully re-trimmed. Full weather equipment is with the car and the boot has been superbly trimmed and the engine bay is show standard. The underside of the car is as impressive with a lovely painted finish. 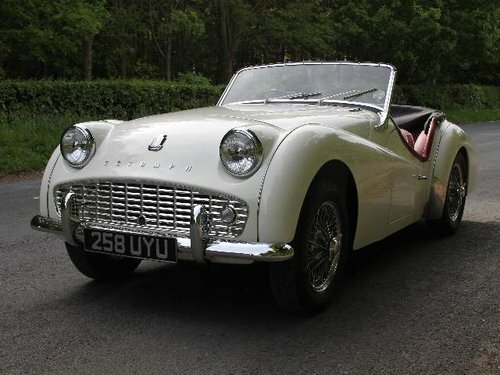 Having been completely rebuilt mechanically, we can confirm the TR3A is top class to drive with excellent steering, handling, braking and the engine and gearbox are both superb contributing to a truly superb driving experience. 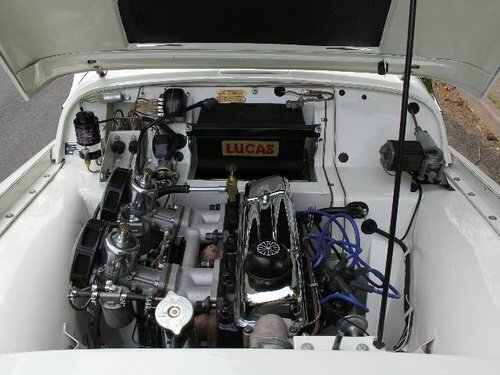 Mechanical work included stripping and rebuilding the engine and upgrading it with oversized liners as per the TR3B and TR4 engine with a cc of 2138. SU specialists rebuilt the carburettors, the gearbox was fully overhauled, electronic ignition and a stainless steel exhaust system fitted. The TR was further upgraded with rack and pinion steering and all the brakes and suspension were completely rebuild with all components replaced or re-conditioned. 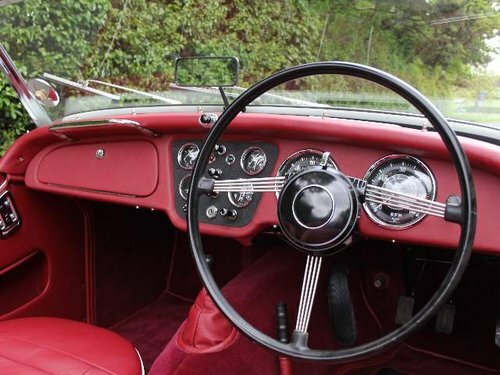 There is no doubt this car has had an unbelievable level of care put into the restoration and finding an example that has clearly been so passionately worked on will be very difficult to find. Finishing touches such as a fully complete correct and original tool roll are also present.